Protests on Thursday outside Vodacom’s head office are the latest twist in a story that spans 19 years, involving multiple court challenges, millions of rands in claims, and high profile politicians coming out to bat for Please Call Me inventor Nkosana Makate. And it seems the matter will not be resolved anytime soon. A group of approximately 100 protesters gathered outside the Vodacom campus in Midrand on Thursday, demanding Makate be paid what he is due by the telecommunications giant. Vodacom shut the retail stores inside the campus as a precautionary measure, while a strong police presence kept watch. Why is Vodacom the target of protests and online fury? Nkosana Makate was a 24-year-old junior accountant at Vodacom in 2000, when he came up with the idea of a free service that would send a SMS to someone, requesting to be called back, without requiring airtime. He was verbally promised compensation by Vodacom’s then head of product development, Phillip Geissler. The service took off in 2001. Makate wrote letters to Vodacom in 2007, demanding compensation and filed a civil case against the mobile operator in 2008. But Vodacom denied he had invented the Please Call Me Service and that he had been promised remuneration. He lost this case and the appeal in the Supreme Court of Appeal, but he vowed to fight on. But wait, wasn't there another court ruling? Makate's breakthrough came in April 2016 when a last-ditch appeal to the Constitutional Court ruled in his favour. The apex court decided that Vodacom was bound by the agreement undertaken by Geissler and the company was ordered to negotiate “in good faith” with Makate to “determine reasonable compensation”. The ConCourt further ruled that if the parties failed to agree on reasonable compensation, the matter must be submitted to Vodacom’s CEO to determine the amount. What caused the current impasse? Earlier in January, Vodacom said CEO Shameel Joosub decided on a fair compensation figure for Makate and as the Constitutional Court ruled he should have the position of the “deadlock breaking mechanism”, the amount is final and the mobile operator considers the case closed. But Makate took to social media describing the settlement figure as "shocking and an insult". Vodacom said he had not informed them officially of his rejection of the offer. How much did Vodacom offer Makate? 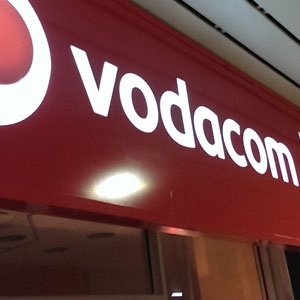 The details of the mobile operator's settlement figure are subject to a privacy clause between Makate and Vodacom and neither party will reveal this. He initially wanted 15% of revenue generated by the Please Call Me service. Chris Schoeman, a litigation funder who previously backed Makate's case, told Radio 702 on Thursday, that Vodacom had offered Makate R49m. If the matter heads back to court, an independent assessor could be appointed to determine the revenue figures made by the company from the service. In papers that Makate filed earlier with regulatory bodies, he claims they offered him R10m. This is the amount Makate says he was previously offered during negotiations before Vodacom made its final settlement decision. This figure is believed to be below his massive legal bill. Activists within the #PleaseCallMe Movement demand R70bn be paid to Makate, but this figure seems high given the company generated R86.bn in revenue and R15.6bn in net profit in 2017/2018. Who actually invented the Please Call Me? This is another complication in the lengthy case. A former consultant to MTN, Ari Kahn says the rival firm filed the patent first in 2001 after he developed the “Call Me” product. He told talk radio station Power FM on Thursday that Makate “actually invented nothing”. An opinion column by Nkateko Nyoka, chief officer of legal and regulatory affairs at Vodacom, also stated that MTN invented and patented the 'Call Me' product before Makate. Makate accused Vodacom of lying, saying former CEO Allan Knott-Craig admitted in court papers that the mobile operator had been the first to come up with the idea in the country. Makate has a number of high profile supporters in his corner. Gauteng education MEC Panyaza Lesufi has been a vocal backer in his personal capacity and faces legal action by Vodacom who wants him to "desist from making false and defamatory comments" about the company. Countless supporters have called into talk radio station and posted on social media as well as a dedicated #PleaseCallMe movement has emerged, claiming to be against ”consumer injustice”. Former public protector Thuli Madonsela told Vodacom to "do the right thing" on Twitter and pay Makate and Communications Minister Stella Ndabeni-Abrahams tweeted Vodacom should “just shut up and pay him”, which she subsequently deleted. Makate is consulting with his lawyers if he should apply to review Vodacom’s settlement figure in the high court or the Constitutional Court. The #PleaseCallMe movement is urging a boycott of Vodacom services and Lesufi says he is in talks with the minister of finance about the company's large contracts with government as well as international institutions. There are also threats to protest outside and boycott the Durban July and other sporting events sponsored by Vodacom.